Healthcare IT solutions is quickly becoming one of the fastest-growing international industries. According to the Philippine Daily Inquirer, health care information management (HIM) outsourcing experienced the highest level of job creation in 2012 compared to other IT and BPO outsourcing industries. And even more growth is on the way. In the same article, Amy Remo reported that the HIM outsourcing industry can expect to add thousands of more jobs through 2016. So what explains such rapid growth? 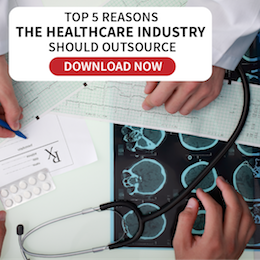 In reality, there are several factors contributing to the health care outsourcing industry’s expansion, but chief among them is the new Patient Protection and Affordable Care Act in the U.S., otherwise known as the ACA. This health care legislation, which was signed into law in 2010 with subsequent portions becoming effective each year through 2020, seeks to significantly lower health care costs while increasing the efficiency of the entire system. 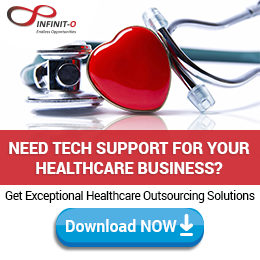 As a result, many American health care providers will be switching to electronic medical records in the coming years, which presents a unique opportunity for international organizations that specialize in IT outsourcing services for the health care industry. For example, many in the U.S. are looking to the Philippines for such expertise. In a press release, the Healthcare Information Management Outsourcing Association of the Philippines identified the country’s unique position to handle the coming expansion of job opportunities. “The Philippines’ competitive advantage in the growing healthcare outsourcing sector is built on the availability of talent pool, strong cultural affinity with the United States, and medical know-how that leads to good customer interaction skills and efficient delivery of niche services,” the organization said. But in addition to electronic medical records, Frank Quinn at MedCity News said many care providers are also outsourcing efforts to convert to electronic billing systems that further contribute to the overall efficiency of the health care system. Similarly, a report published in June from Frost & Sullivan identified the concept of revenue cycle management (RCM) as another increasingly major point of focus for many health care providers. According to the report, RCM is a way for providers to maximize revenues from insurance companies and patients by streamlining the payment process. 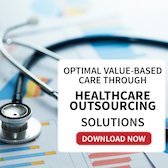 With new incentives to increase efficiency, many medical practices will soon need to re-engineer their entire RCM functions, which opens up further opportunities for outsourcing. Businesses that specialize in performing these three different aspects of health care delivery will have a unique advantage in the next several years as more and more providers outsource the complicated work of health care information management. Another very lucrative health related outsourcing business is the data mining of medical records for litigation. Nice article really health care industry needs more growth in there expecting areas.